2 beds2 baths858 sq. ft.
1 beds2 baths664 sq. ft.
2 beds2 baths1346 sq. ft.
1 beds1 baths619 sq. ft.
1 beds1 baths758 sq. ft.
1 beds1 baths558 sq. ft.
2 beds2 baths1485 sq. ft.
1 beds1 baths737 sq. ft.
1 beds1 baths498 sq. ft.
2 beds2 baths1264 sq. ft.
2 beds2 baths1216 sq. ft.
0 beds1 baths837 sq. ft.
3 beds2 baths1647 sq. ft.
0 beds1 baths577 sq. ft.
2 beds2 baths1067 sq. ft.
1 beds1 baths718 sq. ft.
Zoocasa has 3,551 active condo listings throughout Vancouver. For past listings, search our Vancouver sold listings and Vancouver expired listings The average listing price in Vancouver for a condo is $1,201,103, which is 90% higher than March 2018. There are many popular cities surrounding Vancouver, including Richmond, West Vancouver, North Vancouver, Burnaby, Delta, New Westminster, Belcarra that offer a variety of home prices and unique areas to live. Vancouver also has many options for renters looking for a condo with 1,865 active rental listings and an average lease price of $3,747. Looking to buy condo in one of Vancouver"s great neighbourhoods? 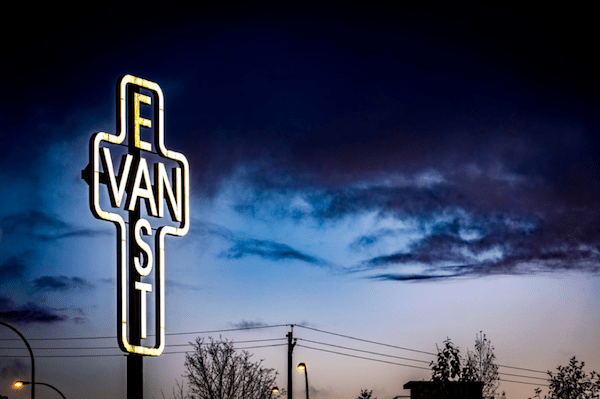 Vancouver is home to 37 unique neighbourhoods. Popular neighbourhoods include Downtown, with 614 active condo listings, Renfrew-Collingwood, with 268 active condo listings, and Collingwood, with 268 active condo listings. Residents of the City of Vancouver are expected to pay property taxes on all residences that they own. Property taxes can usually be found on each active Zoocasa listing, or can be looked up here. As of 2017, the estimated property tax residents can expect to pay is 0.26% per year. To see where your property tax payments go, see below for an example. When purchasing a property in Vancouver you’ll have to pay Provincial Land Transfer Tax, which is due upon closing. If you’re a first-time home buyer, you’re eligible for a rebate. For properties up to $475,000, buyers are eligible for a full land transfer tax refund and on homes purchased between $476,000-$499,999, the buyer is eligible for a partial refund. To address the housing crisis in Vancouver, the city has implemented an annual tax on homes that are empty or under-utilized. Every homeowner in Vancouver is required to submit a property status declaration each year to determine status of their property. If it is deemed that the property is under-utilized, the owner will be subject to a 1% tax on the taxable value of the residential property. The Foreign Buyers Tax was implemented to cool hot real estate price growth in the city. In August of 2016, Bill 28, the Miscellaneous Statutes Amendment Act, came into force. The act has four parts: a vacancy tax, foreign buyer’s tax, amendments to the real estate services act, and creation of housing priority initiatives. The core focus of this new act is the additional property transfer tax of 15%, which was expanded to 20% in February 2018, on all residential properties purchased by foreign buyers in the Greater Vancouver Regional District. In August of 2017, the bill came under review and it was said to have done very little to cool down the real estate market in Vancouver. The Real Estate Board of Greater Vancouver (REBGV) was founded in 1919 and has over 11,000 licensed real estate brokers across the Greater Vancouver Area. REBGV covers areas in the Greater Vancouver Area like the Lower Mainland, Bowen Island, Burnaby, Coquitlam, Ladner, Maple Ridge, New Westminster, North Vancouver, Pitt Meadows, Port Coquitlam, Port Moody, Richmond, Squamish, Sunshine Coast, Tsawwassen, Vancouver East/West, West Vancouver, and Whistler. Located on the Canada’s Pacific west coast, Vancouver is the largest metropolitan city in province of British Columbia. Home to over 2 million people, Vancouver is the third most populated city in the nation and is also its densest, with over 5,400 people per square kilometre. Vancouver is known for its world class natural beauty and its mild weather. 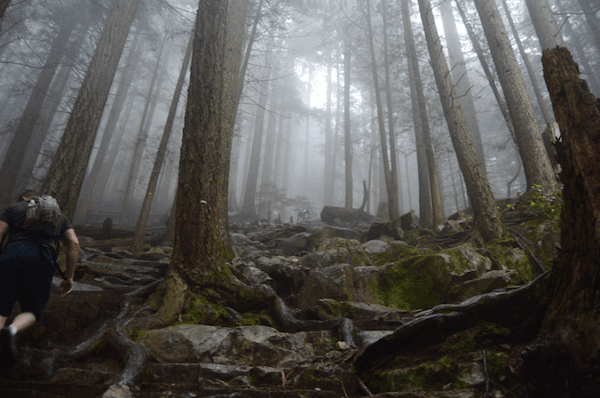 However, as it is located in Canada’s rainforest region, it can experience extreme rainfall throughout the winter seasons. In 2010, Vancouver hosted its first-ever winter Olympic games. 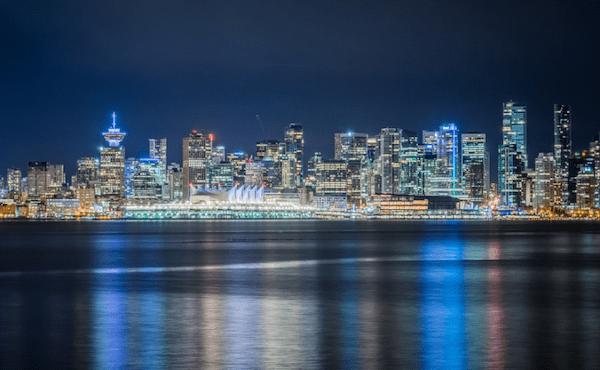 It is consistently ranked among the top five cities for livability and quality of life worldwide – The Economist has ranked Vancouver among the top 10 world’s best cities to live for five consecutive years. The Vancouver School Board governs 119 schools across the city with 56,567 students. Each city in the Metro Vancouver region has their own governing school board. Vancouver is known for its abundance of parks and green spaces. The biggest and most notable park in Vancouver is Stanley Park, found just off of the famous Lions Gate Bridge, which connects downtown to North Vancouver. With 400 hectares of natural rainforest, Stanley Park is a favourite among both locals and tourists. Here, you can enjoy a picnic on the beach, bike along the 8.8-km scenic trail along the seawall, or visit the Vancouver Aquarium. Other notable parks in Vancouver include the VanDusen Botanical Garden, Queen Elizabeth Park, and Pacific Spirit Regional Park. Unlike other major cities like Montreal, Calgary, or Toronto, Vancouver does not have a singular landmark; Vancouverites say the city’s parks and natural beauty are what makes the city notable. 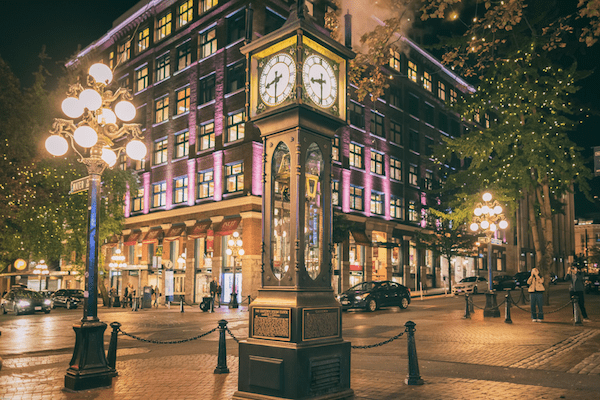 Popular structures include the Lion’s Gate Bridge, the Gastown Steam Clock, and Canada Place. Vancouver has two major retail malls: Pacific Centre and Oakridge Centre. Pacific Centre is found in the heart of downtown Vancouver and includes a wide variety of luxury retail brands and department stores. Oakridge is located in the suburban area of Vancouver and offers a similar shopping experience. In the downtown core of the city, retail stores can be found along Robson Street, one of Vancouver’s busiest streets. If big retail brands are not your thing, Gastown offers small local brands that can’t be found anywhere else in the city. There are also a variety of dining options and brunch restaurants in the Gastown area. The Canucks are Vancouver’s professional NHL team, and play at Rogers Arena. The team was founded in 1945 and expanded into the NHL in 1970. The Canucks have never won a Stanley Cup but have been to the conference finals three times. The Whitecaps FC is Vancouver’s professional soccer club, which plays at BC Place. They were the 17th team to enter into MLS. The team was founded in 2009 and, in its 2012 season, became the first Canadian team to qualify for the MLS Cup playoffs. In 2017, they placed 3rd in the Western Conference. The Lions are Vancouver’s professional football team, and compete in the CFL. Their home field currently is BC Place and they have won 6 Grey Cups since inception in 1954. There are currently no Canadian teams that compete in the NFL. As of November 2017, the city of Vancouver has issued new short-term rental rules to regulate the Airbnb market in Metro Vancouver. The new rules will prohibit the use of secondary or “non-principal-residence” homes as Airbnb short-term rentals. The rule was put in effect to help protect Vancouver’s ever-decreasing vacancy rate which currently hovers below 1%. The current rules already ban short-term rentals with terms less than 30 days, with the exception of properly licensed B&Bs. The new regulation will come into effect in April of 2018. For more information visit the City of Vancouver website. Vancouver’s main transit system is serviced by TransLink, which operates buses, SkyTrains, SeaBuses, and West Coast Express trains. Currently there are four SkyTrain lines: Expo, Millennium, Canada, and Evergreen, made up of a fleet of 298 vehicles. The SkyTrain operates from 5:00AM until 1:30AM on weekdays and 5:00AM to 1:00AM on weekends. The remaining areas of the city that are not serviced by SkyTrains are serviced by buses that run 24 hours a day, 7 days a week. The cost per trip on the TransLink system is $2.85 for adults and $1.80 for concession for zone 1 - prices increase as you travel further into zone 2 or 3. A monthly unlimited pass can be purchased for $93 for zone 1. Cash and Compass passes are accepted across the TransLink network. The SeaBus is a passenger-only ferry that is unique to Vancouver, which brings passengers from the downtown Waterfront Station to Lonsdale Quay in North Vancouver. TransLink currently operates three vessels and it approximately takes 10 minutes to complete the crossing and unloading. It has been part of the TransLink network since 1977 and is a popular tool for residents of North Vancouver commuting into downtown Vancouver for work. The West Coast Express is an interregional commuter train that brings passengers from cities like Mission, Maple Ridge, Pitt Meadows, Coquitlam, and Port Moody into Waterfront Station in downtown. It has been in operation since 1995 and fares start at $7.35. Vancouver is serviced by Vancouver International Airport (YVR) which is located in the city of Richmond, just south of Vancouver. It is a major international air traffic hub for western Canada. It is the 2nd busiest airport in Canada with over 22 million annual total passengers. There are non-stop flights daily to cities in Asia, Europe, Oceania, US, Mexico, and Canada. YVR has received numerous awards and ranked top 10 airports by the North American Airport awards from 2010 through 2017. It is also currently ranked 13th best airport worldwide according to Skytrax. A majority of YVR’s air traffic are from Asian cities, with almost every single destination you can imagine. The biggest taxi company that operates in Vancouver is Yellow Cab. Their yellow cabs can be seen roaming the streets of downtown Vancouver. Taxis are difficult to be hailed on the streets so it is best to book in advance or visit a train station or hotel where they are usually parked waiting for passengers. Despite being a metropolitan city in Canada, Uber is still banned in Metro Vancouver. As of December 2017, there has been a series of meetings with government officials from BC and Vancouver to lift the ban on ride-hailing companies like Uber. There is a good chance Uber may end up operating in Vancouver by the end of 2018. Vancouver is the only major city in the world that does not have a highway running through its city centre. The busiest highway in Vancouver is TransCanada Highway #1. Other notable highways include BC Highway 99, which takes you all the way to the US border, 91, 1A, and 7. Most residents of Vancouver rarely use highways within the city limits. On the other hand, bridges are everywhere in Metro Vancouver. Some important and notable bridges include the Lions Gate, Granville, Cambie, Knight, Arthur Laing, and Second Narrows. For most cities, rush hour traffic is always on highways, but in Vancouver, the most common traffic jams occur on bridge crossings. There are currently 14 hospitals in the city of Vancouver. Some notable ones include Vancouver General, St. Paul’s, Vancouver Children’s, St. Vincent’s, Mount Saint Joseph, and BC Women’s Hospital. During the Christmas holidays, St. Paul’s Hospital host the Light of Hope display that features over 10km of lights setup on the façade of the hospital.